The weather here in LA has been so spectacular lately! The light has changed, the air is crisp, and I basically just want to snuggle up in bed all day and watch “The Holiday” on repeat. So I might be getting a little bit ahead of myself on the holiday front, but in anticipation of more 100-degree weather, I’m soaking up every ounce of fall that we get. The changing of seasons also means a little sprucing up of my wardrobe and home to make it a little more warm and cozy. 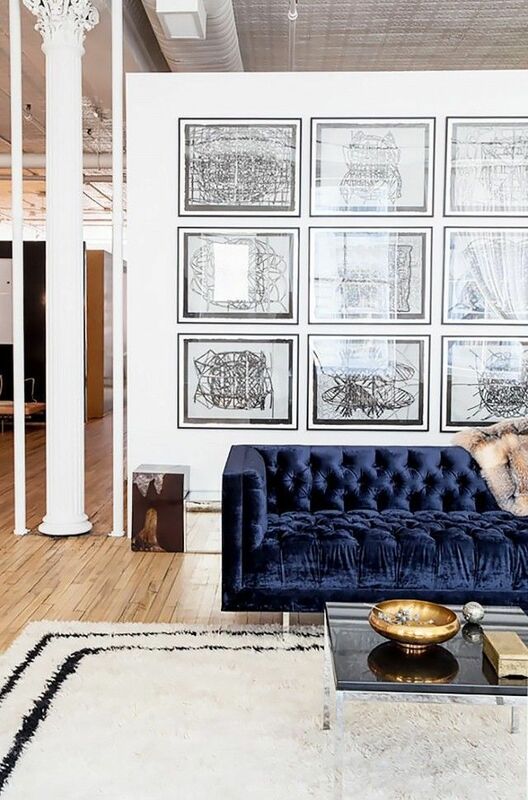 A huge trend that I can’t wait to incorporate is velvet. From the runways to my favorite home decor stores, it is everywhere right now. Even if you aren’t able to incorporate a pricey sofa or chair, a velvet throw pillow is enough to add instant glamour to any space. Here are the velvet looks I’m currently coveting. Not quite that “velvet cool ” here yet, but I’m hoping. How appropriate! I just spent half the day diligently searching for a pair of velvet ankle boots online which weren’t going to cost more than my monthly salary. I finally found some and am holding my breath to see if they’re acceptable in real life…not to mention wearable comfortable. So this is all very timely, thank you. Love velvet in all its incarnations, always have, always will. I saw that Top Shop had some cool ones! I want a pair too. You’ll have to tell me how you like yours! Last year Topshop had great ones in green and red but by the time I saw them they were all gone (of course!). This year they only have the round-toe ones (the ones I like) in black, which I’m sure you love but I don’t. So I had to conscientiously search yesterday for a long time to find affordable round-toe ones in a fun color (I got red) which weren’t leather! Quite the feat. The ones I got have a heel a bit too high for my liking but we’ll see how they look when they show up. Fingers crossed, and I’ll let you know! Affordable being the key word there! Ha! All the best shoes are INSANE $$$$$$$$. I remember when $500 seemed ridiculous for shoes! Remember those days!